Florida was originally named Pascua Florida in the year 1513, by the explorer Ponce de Leon. It is said that the explorer chose the name on Easter day, and the literal meaning of Pascua Florida is Flowering Easter. It is possible that Ponce de Leon chose this name partially to commemorate his native Spain's traditional Feast of the Flowers Easter celebration, and partially due to the abundant flowering tropical foliage found in the land that eventually became the state of Florida. In addition to the beautiful blooms of hibiscus, bougainvillea, morning glory, and alamanda vine, Florida is home to many edible species of plants, flowers, and fruits. However, it is always wise to procede with caution, local knowledge, deep reference materials, and the help of botanical experts before consuming any wild plant. That being said, Florida's edible wild plants can provide a feast for the well informed and cautiously observant explorer. This article only begins to delve into eight of the delicious wild treats that await adventurous and informed outdoor enthusiasts in the sunshine state. We will talk about bananas, papaya, key lime, Spanish bayonet, seagrape, sea hibiscus, coconut, and cabbage palm. Originally of Asiatic origin, in Florida the banana has become naturalized from Key West to Jacksonville and everywhere in between. However, bananas thrive and fruit more reliably in the warmer southern areas of the state. A banana tree is actually a giant succulent herb! The stalks grow from a central corm pseudo-bulb and produce multiple trunks in succession. A banana is a monocot (meaning that it only blooms once, then that individual stalk dies away). Most bananas growing wild in the state are what Floridians refer to as Cow Bananas, since ranchers and farmers have historically used the fruit to feed cattle. The quality of fruit of the so-called cow banana, while perfectly edible, is somewhat more coarse than the creamy cultivated varieties. Since there are literally hundreds of varieties of cultivated bananas, the ones found growing in the wild could yield any of a wide variety of fruit quality. Many of the stands of bananas found in the woods or ranch lands today are the survivors of Seminole Indian camps or pioneering family homesteads. The ripe fruit can be eaten out of hand like any banana, the green fruit can be fried or cooked (like the very similar plantain fruit popular in Cuban and Caribbean cuisine) and the diced flower interior of a ripening stalk of bananas can be marinated in lime juice, drained, and marinated again in fresh lime juice to yield a cabbage-like salad vegetable. Many Floridians have even dug up small sports growing from wild heads of Apple bananas in order to cultivate this delicious species in their back yards. An outstanding reference book for at home or in the field. The excellent book features clear photographs, and organizes plants by zone, season, and uses. 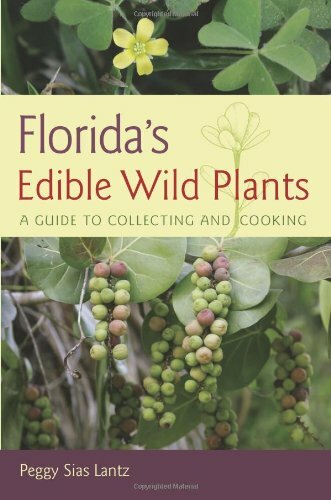 It also includes recipes and fun anecdotes about a lifetime of gathering wild edibles in Florida. This tropical American fibrous-trunked tree grows wild on roadsides, ditch banks, and in many wooded locations from the Florida Keys to the central part of the state. Like the banana, it is a giant herbaceous plant. The plants grow to twenty feet high and the leaves, which cluster at the crown and fall away as they age, are deeply lobed, dark green, and up to two feet wide. Flowers are yellow, cone-shaped, and appear on the trunk surrounding the growing head on the female plants, and clustering, orchid-like, and yellow on long stemmed branches on the male plants. Only the female plants produce the green, then yellow-orange melon-like fruits, but the male flowers are prized for their intoxicating, sweet aroma. The leaves, fruit, and seeds contain papain, an enzyme useful for tenderizing meat. Tea can be made from the leaves, the green fruit can be used in fruit salads, and the ripe fruit can be eaten once the fruit is cut opened and the rind and seeds removed, much as you would do with a melon. Papaya seeds can be dried and ground for a spicy condiment in place of black pepper. The dried hollow leaf stems also make outstanding kindling for starting a camp fire. Highly rated, inexpensive, and priceless when you need it. A survival knife is one of those tools that you would rather have and not need, than need and not have! 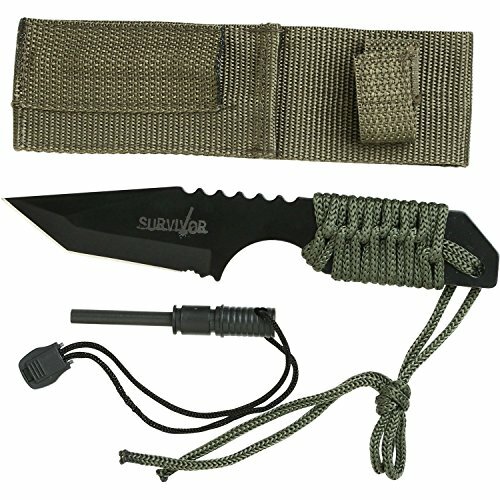 The Survivor HK-106320 with fire starter is one of the highest rated knives under $40 available on Amazon. Check it out and read the reviews! Brought from Asia to the Caribbean by early explorers, the Key Lime is naturalized throughout South Florida and the Florida Keys. The tree is much more bushy than traditional citrus, such as the grapefruit or orange, with smaller leaves and small, ping-pong ball sized fruits. Key lime trees are often found at old Seminole Indian campsites in the Everglades, as well as in the fringe rows of old groves, where homestead farmers planted a few of the trees for themselves. Of course, key limes are one of the main ingredients in the celebrated Key Lime Pie, and the treasured native Floridian secret Key Lime Rum Cake! In addition to pies, the juice is good for adding to teas and drinks, making limeade, and marinating and seasoning fish, shrimp, and crabmeat dishes. Wild trees produce fruit reliably and are a thrill to find when hunting or camping. Also, key lime juice has been said to alleviate the itching of mosquito bites, which always comes in handy in the sunshine state. Including and beyond wild edible plants. This book is all about how to survive in the tropical state of Florida. over 200 pages, and rated 4.8 out of 5 stars on Amazon. 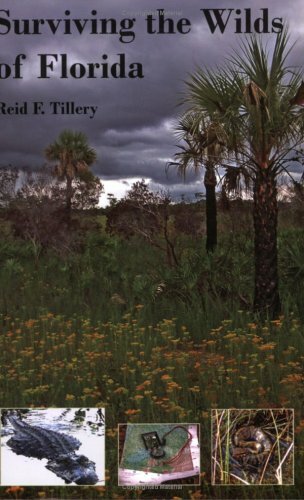 This book may contain all you need to know to survive in the wilds of Florida. The Spanish bayonet grows wild on dunes, and in beach land, lagoon, and mainland hammocks. The plants resemble a dracenia and feature prominent, sharply pointed, alternating leaves that emerge in a spiral pattern from the leading crown of every branch. Mature plants bloom large tulip-like clusters of white or yellowish flowers at the crown. The flowers eventually produce an edible fruit, but the fruit is bitter and rubbery. However the flowers are crisp and agreeable and can be used as edible garnishes, or served in salads. The flowers were also battered and fried by Floridian pioneers. Fried Yucca flowers are most assuredly a native treat that many know nothing about. To batter and fry the Yucca flower, is to partake in the state's wild, delicious history. The seagrape is a large sturdy shrub native to Florida. It grows on shorelines, and in mainland wooded areas. The plant is also used extensively in landscaping, as its formidable size and willingness to thrive when hedged, lends it to a valuable windbreak or privacy buffer. The fruit grows in long grape-like clusters and is ripe when purple or red. It can be eaten raw when ripe, or made into delicious seagrape jelly. For hunters and campers, the large, flat, glossy seagrape leaves can be used as impromptu plates, and fallen seagrape limbs make favorable firewood. Also called Mahoe, the enormous shrub knowns as the sea hibiscus grows rapidly and can reach a height of fifty feet or more. The native plant is known to grow in mainland hammocks, and coastal woods and shorelines. The drooping branches take root and the large plants spread. The branches also propagate easily from cuttings, but plant with extreme caution in any residential application, and be well aware of the shrub's vigorous and large, spreading nature. The colorful flowers, usually orange to red, can be boiled or battered and fried. Also, the dried wood ignites readily from friction. Therefore sea hibiscus is one of the few Floridian wild woods than can be used to start a fire using a stringed bow to spin a pointed stick in the hole of a dried branch. Surround the friction point with a handful or two of crumbled, dried papaya leaf stems (typically found growing in the same areas as the sea hibiscus), and your emergency camp fire will be crackling in no time. 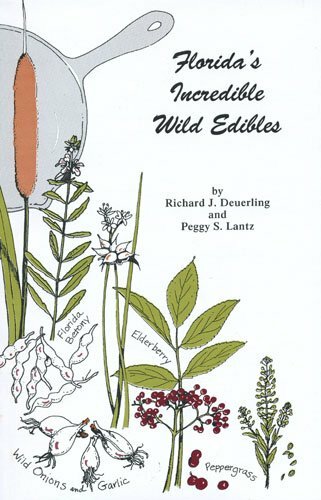 From fruits, to roots, to greens, this book is a valuable resource for campers, hunters, and outdoor enthusiasts interested in the wide array of Florida's wild edible plants. A great deal for a low price! Any list of edible Florida plants would be incomplete without the wonderful coconut. The coconut palm produces the largest nut in nature. The ripe coconuts provide coconut water, which can be drank and can provide a valuable source of hydration to anyone in a tropical area where the trees grow. The sturdy white coconut flesh of a mature nut can also be eaten raw in chunks, grated, or steamed and pressed to yield coconut "milk" used in cooking. Fish stewed in coconut milk and key lime juice is an island delicacy! The flesh of a young, unripe coconut is softer and can be eaten with a spoon. The terminal bud of the tree can be eaten raw or steamed, exactly in the same manner as the cabbage palm. The cabbage palm grows wild from the Florida Keys to as far north as North Carolina. This hearty palm tree can reach a height of eighty feet. The trunk is fibrous and felled trees were used as firewood by Seminole Indians, who would assemble four of the tree trunks on the ground in an X shape, and then periodically shift the logs toward the center, where the burning fire used the log ends as a continual source of fuel. The Seminole Indians also used the cabbage palm seeds to create a coarse meal which was made into bread. Also, the ripe berries of the plant in bloom can be eaten raw. Today the terminal bud, or cabbage, of young trees is harvested to obtain the vegetable known as hearts of palm. The terminal bud is called swamp cabbage, when boiled and traditionally cooked with bacon or salt pork. 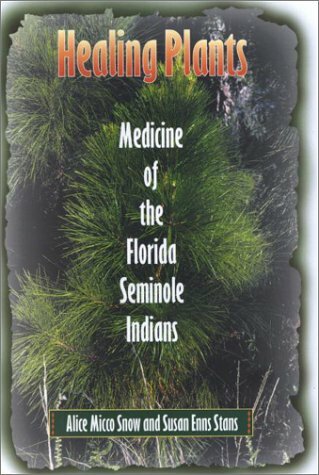 This book describes the healing plants as used by the traditional Florida Seminole Indian Tribe. An amazing look into botanical and native American history and lore. Florida's wild terrain and wooded areas feature a number of edible plants. Many are known and many are not. Always proceed with knowledge, botanical expert assistance, reference materials, and caution before eating anything in the wild. For the well-informed and adventurous outdoorsman, hunter, or camper, Florida can provide a long list of delicious, wild, edible plants, fruits, and useful botanical materials. In this article we have talked about eight of the most common and readily available edible Florida plants: bananas, papaya, key lime, Spanish bayonet, seagrape, sea hibiscus, coconut, and cabbage palm. In addition to these, there are literally hundreds of other species of value that grow wild in the sunshine state. For a more in depth list, please consult one of the outstanding books featured here as available from Amazon, or in you local library. Hi NivekGohost, I think a lot of us did stuff like that. We used to dare each other to eat these super hot peppers my grandmother grew! crazy.